Délvidék and Karpatalya both represent Hungarian minorities, with Délvidék representing Hungarians in Northern-Serbia while Karpatalya represent Hungarians in Ukraine. For Western Sahara, the Sahrawi Arab Democratic Republic (SADR) is a partially recognized state that controls a thin strip of area in the Western Sahara region. And Matabeleland is a region in Zimbabwe divided into three provinces. 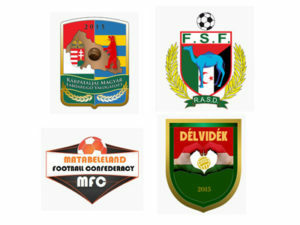 We give our warmest welcome to these four new newest CONIFA members and look forward to working with them and watching them compete.